Business centre and business park space is available in the form of serviced offices, virtual offices, hot desks, and shared office space. Business parks usually offer a combination of office and light industrial space. Flexibility with regards to the size of premises, contract length, and unit specifications. Better value than conventional office space. Many business centres / parks are purpose-built and allow for a more creative allocation of space and high quality premises. Lower financial risks for small companies and start-ups. Straightforward licence agreements, no need to pay for legal or commercial agent costs. Access to furnished and fully equipped offices, workstations, or industrial space. This gives tenants more control over their budget and cash flow, but less choice when it comes to selecting service providers or space layout/configuration. Where virtual office services are offered, the right to use the centre's address as an official business address, call screening, as well as company formation services, and reception / forwarding of business correspondence. Reception and admin staff to answer calls, take messages, welcome visitors, book meeting rooms, etc. Access to communal areas (e.g. kitchen, restrooms, wellness amenities when available). On the other hand, business rates and service charges may or may not be included in the monthly rental fees. Moreover, and depending on the accommodation package chosen, access to meeting and conferencing facilities, copy/print, and mail forwarding services is available at an additional charge. According to a 2014 BCA report, the business centre accommodation sector is worth £2bn and is the first choice of more than 80,000 companies, 70 per cent of which are in London and the South East. The typical occupier profile includes SMEs, companies with 1-5 employees, start-ups, companies looking to enter the UK market, or home-based businesses looking to expand. Large corporates are increasingly using business centre space whenever they require temporary or overflow space to work on one-off projects. All sectors are well represented, although companies involved in tech, digital health, and creative are more likely to opt for business centre space, whereas accommodation in business parks is more common with e-commerce and retail firms. Commercial property analysts estimate that there are more than 200 business centres in London and their combined floor space amounts to 5.6 million square feet, nearly 3 per cent of the city's total office inventory. There is a large concentration of business centre space in the City and the West End, although limited availability of conventional space in these areas has led to the development of business centres in fringe locations, such as Shoreditch, Limehouse, Wapping, Canonbury, and Stratford. West London is considered a prime business park location, particularly in areas like Chiswick, Uxbridge, Hounslow, Hayes, West Drayton, and along the A4 corridor. London's largest business parks are located in these areas and include Park Royal (which covers an area of 500 hectares and accommodates more than 1,000 companies), North London Business Park and Stockley Park. There is another large cluster of business park space in north east London (near the logistics and transportation hubs in Enfield and Waltham Forest) and to the east of the City, predominantly in the boroughs of Redbridge and Tower Hamlets and in areas like Hainault, Poplar, Barkingside, and Romford. Office space in Central London business centres ranges between £600 and £700 per workstation / month. Office space in South London business averages £500-£550 per workstation / month. Small serviced offices in business centres in north and North West London (e.g. Park Royal) typically start at £250 / month. 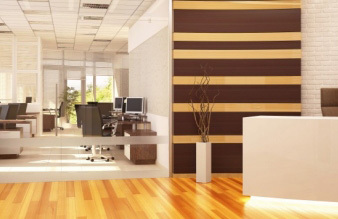 Basic virtual office packages can be priced as low as £1 per day. Office accommodation in business centres across Greater London commands lower prices than in the city, and it is not uncommon to find monthly workstation rates under £400. Industrial space in business parks near Heathrow and Hounslow averages £14 / square foot / year, whereas in Greater London locations (such as Croydon) it is slightly lower at £11 / square foot / year. Commercial space in business centres and business parks is particularly well suited to companies that require specialist space, such as music studios, radio or TV production and broadcasting firms, or laboratories. In the near future, the availability of general and specialist commercial space in London-based business parks / business centres is expected to increase, particularly in fringe locations, which have become attractive to investors due to their high yields. Overall demand for business park space is likely to grow by 60 per cent over the next 10 years. This may result in more competitive rates and increased variety in terms of accommodation size and specifications.